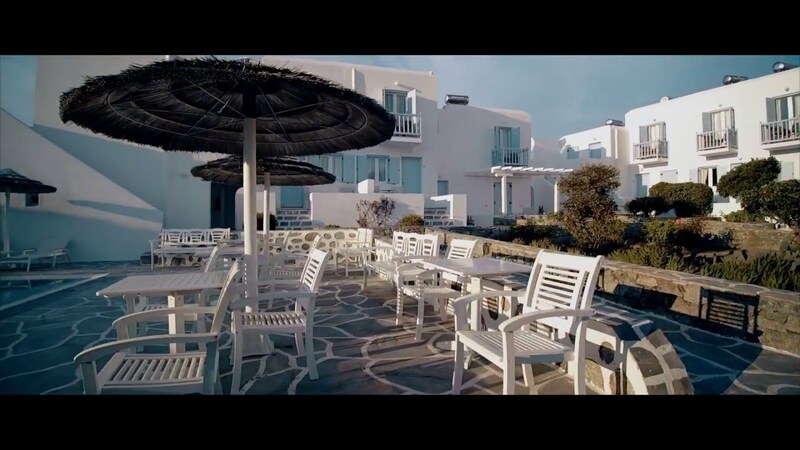 at "island of the winds"
Synonymous with sophisticated Mykonian lifestyle and the very best hospitality the island has to offer, the Aeolos Mykonos Hotel offers a cosmopolitan stay just 800 m from Mykonos town. With a name based on the ancient god of the winds, Aeolus, the hotel is one of the most popular on Mykonos, blending elegant surroundings with a strongly Cycladic style, world-class service and affordable prices. Aeolos Mykonos Hotel's traditional architecture, spacious and luxurious rooms, well-appointed reception areas, glorious pool and outdoor jacuzzi, make it the jewel in the local crown and exceptional value for money. The hotel offers 28 spacious, sunny rooms arrayed around a flower-packed garden, a large pool which sits prominently in the heart of the complex, a large outdoor jacuzzi, as well as a restaurant, lounge and bar. Whether you're outdoors enjoying the dazzling views of the Aegean Sea or in the gardens, this boutique hotel is the perfect place to enjoy the Mykonian sun, as you savour unforgettable hospitality and all the mod cons. “ We feel blessed and deeply honored for the constant support and preference of our valued guests. Over the years, we have put all our strengths towards creating a warm and cozy, friendly and hospitable place where guests feel like home away from home throughout their stay in Mykonos. Love, love, love this hotel! Enjoy the indoor breakfast room with a splendid view of the garden, as well as a bar where we serve snacks, hot beverages and soft drinks. Our pool & Jacuzzi area, pleasant touches of luxury that enable guests to totally unwind, relax and rejuvenate on their holidays.